Anyone who has seen anything of the Reds’ youth teams in recent years will know that Harry Wilson is a special talent. He had a good pre-season this summer before deciding to go out on loan to the Championship for a second time this year, having previously done well at Hull City. Speaking to the Liverpool Echo’s brilliant Blood Red podcast, the Derby Telegraph’s Steve Nicholson provided an update on how he is getting on. He said: “[Wilson]’s mainly been on the right side of the [front] three, as an attacking wide player. He looks a bit more of a threat to me when he comes inside. “He probably just needs another run of starts in the team to really see the best of him. We’ve seen really good flashes of him in recent weeks. 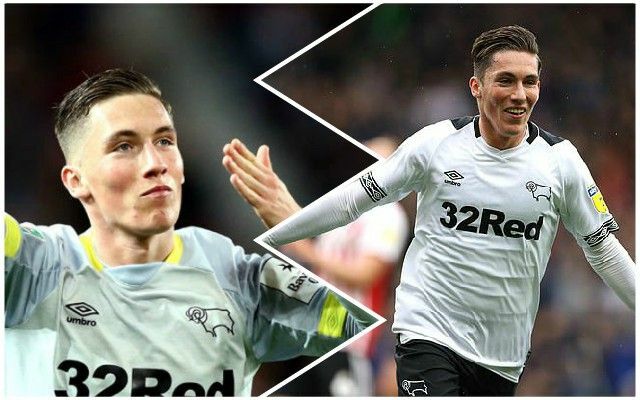 If Wilson is to have a future at the club, he was always going to have to impress at Derby – it sounds like he’s made a decent start.